While choosing the street lights we have to make sure that the lights we are selecting should be capable enough to make the surrounding areas more attractive and appealing and for the same there is no better option than the LED pole lights. Today there are various different color options available in the pole lights and one among many is a white colored 300w LED pole light that looks more elegant and classy. 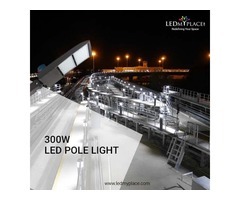 Benefits of using a 300W LED pole lights are as follows: The 300w LED pole lights can be installed quickly and all the LED lights manufactured by LEDMyplace have a reduced installation and repairing costs attached to them. 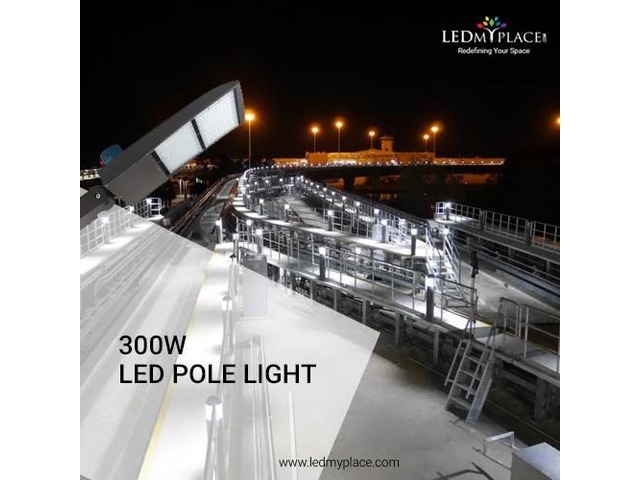 You can install these LED pole lights in both kind of poles such as round and square; on an average the lumen output of a 300w pole LED light is 40000 and you can replace it with a 1000watt MH light. 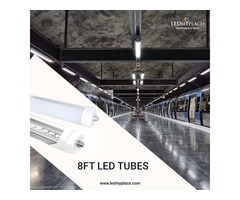 Once installed these LED pole lights can be used for almost 50,000 hours with no or very less time-luminosity decay till the end of the time period. Also these 300w Pole LED Lights are Photocell Sensor along with UL, CUL, DLC, CE and ROHS approvals; you can get rebates from some of the electric companies as well on buying these lights. 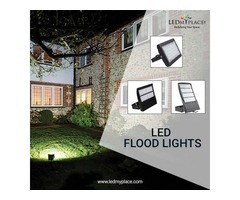 So use the most advanced form of LED lighting technology in brightening the streets, roads, highways, parks among many other places in an empowered way.